LJIC #TUES-TIMONIAL WITH ASHLEY WAGGONER! Meet Ashley Waggoner from La’ James International College in Fremont. 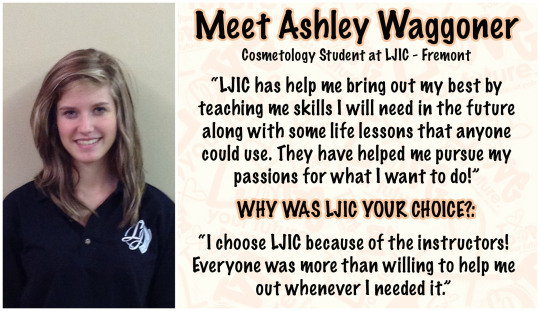 Ashley is a Cosmetology student who is loving the journey at LJIC!